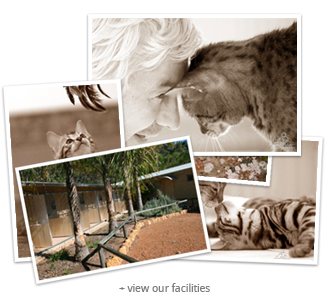 After years of breeding and showing Burmese and Bengal cats in the Perth Hills, Jen and Robbie continued with their love of cats and built Purrever Cattery in 2006. They shared a vision to create a top quality holiday home for cats in the hills, and together, they have created their vision - Purrever Cattery! We get both regular visitors and new-comers staying with us. We love getting to know all of the cats who come to stay with us, they are all individuals with great characters and it is often sad to see them go home, we can’t wait to see them again!